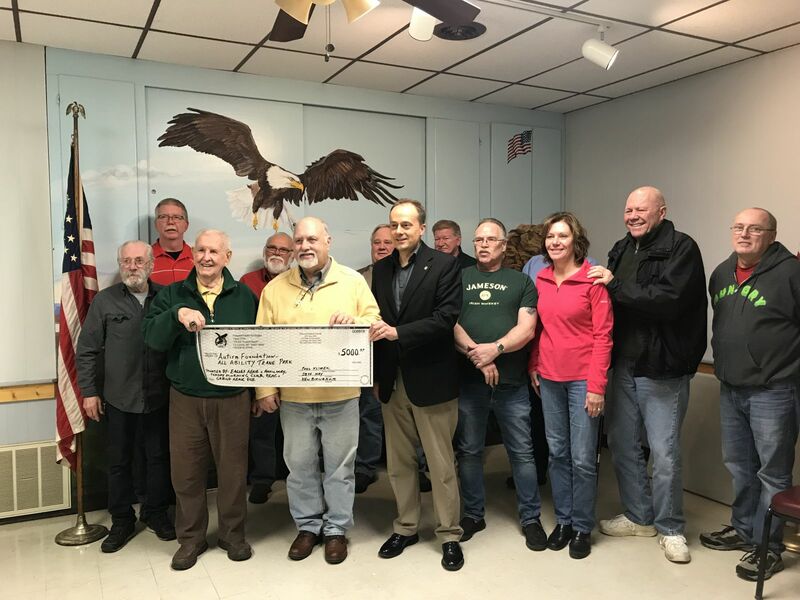 Between the Aerie, Auxiliary, REAC, and the Sunday AM club and a $1000 Grant from the Jimmy Durante Children’s fund we were able to present the Trane All Abilities Park group with a check for $5000! Thank you to everyone who helped raised the money and to everyone that donated to the cause. It couldn’t be done without YOU! We were also able to donate some money for Christmas Gifts to two groups this year. $400 to New Horizon’s, thanks to Mary Barris for spearheading this and those that are helping to purchase, wrap, and deliver the gifts. $150 to go in with Brabara’s work group buying gifts for local teens that would otherwise go without.